When Kevin, my husband, and I decided to do our honeymoon in Mexico, a lot of people were expecting that we’d spend days under the sun in some fancy resort along the Yucatan Peninsula. 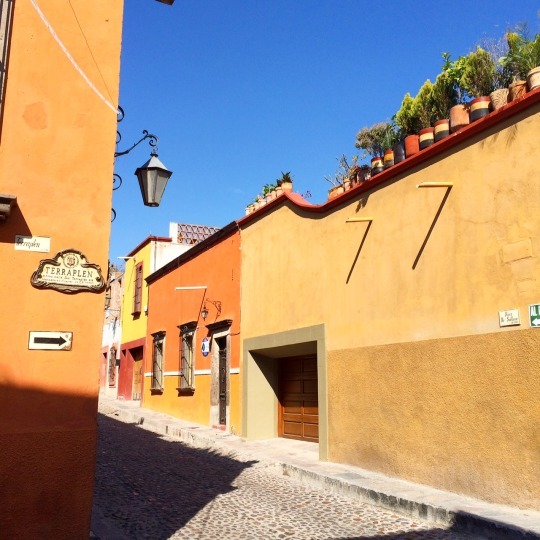 Though it would have been a sweet idea to see the Mayan ruins, we decided to discover the off-the-beaten-path destinations of Mexico. 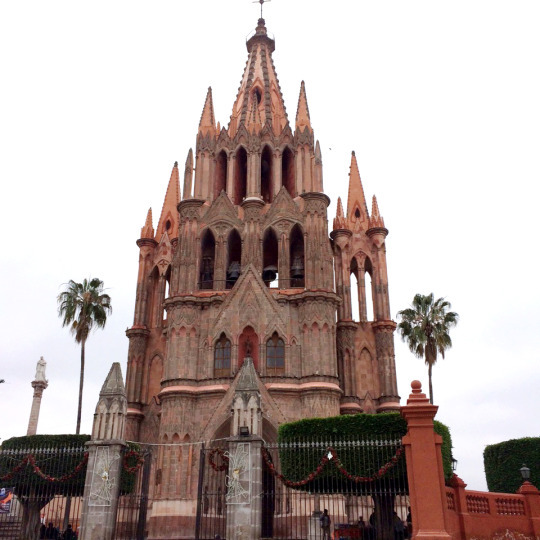 We started our Mexican adventure in San Miguel Allende, located in the central part of Mexico, in the province of Guanajuato. Known as a haven for artists and American and Canadian retirees, we spent 4 days in this magical (yes it is!) city, and we loved every minute of it. And this brings me to this list of why we love SMA. This place is definitely worth adding to your bucket list! 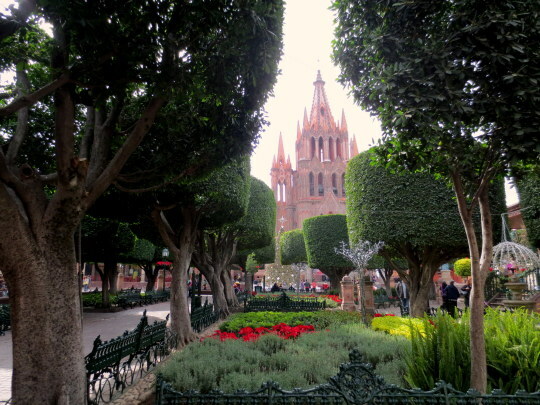 1) It is a UNESCO World Heritage Site known for its its well-preserved Baroque colonial architecture – The photo above is their iconic Parroquia de San Miguel Arcangel which is located in front of the Jardin Principal or Main Garden. Gorgeous churches with neo-gothic architecture can be found scattered around the city and it is as ornate and breathtaking inside as it is on the outside. 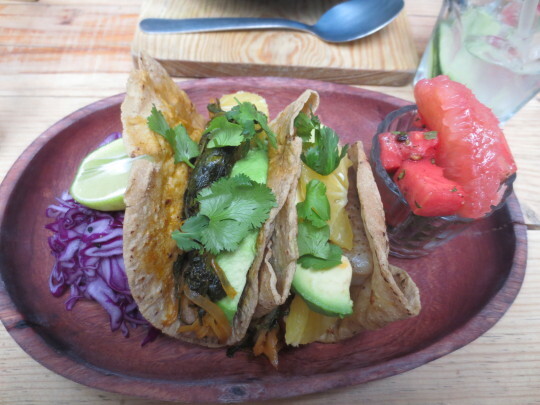 2) Food is superb – Needless to say, eating is probably the best part of traveling to Mexico. Because of the diverse population in SMA, food is also very international and you will get flavors from local and international cuisines that will satisfy your palette. However, we were there for the local flavors and the food was just muy delicioso!! Another thing we enjoyed was cooking class at La Cocina where we spent an afternoon learning how to make cactus salad, guacamole, chicken mole, chile relleno, and margaritas. Ole! 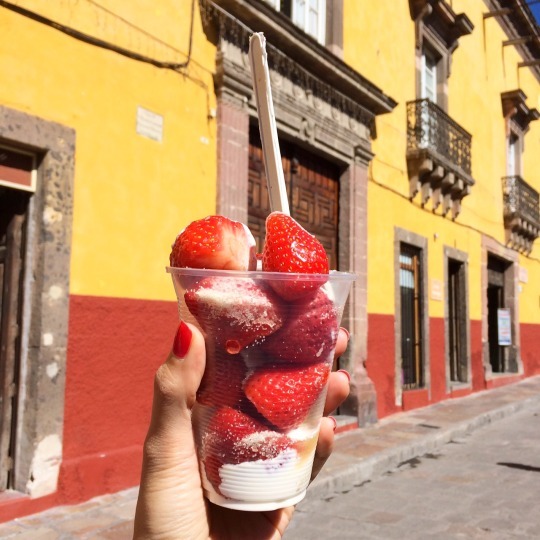 3) The streets are full of colorful – Wherever you go, the city’s old architecture, beautiful art as well as rich food are a feast for the eyes (and all senses)! Structures are predominantly mustard or canary yellow, mandarin orange or something bright and yummy. Art is found almost everywhere, whether you are in a cafe or at the park. 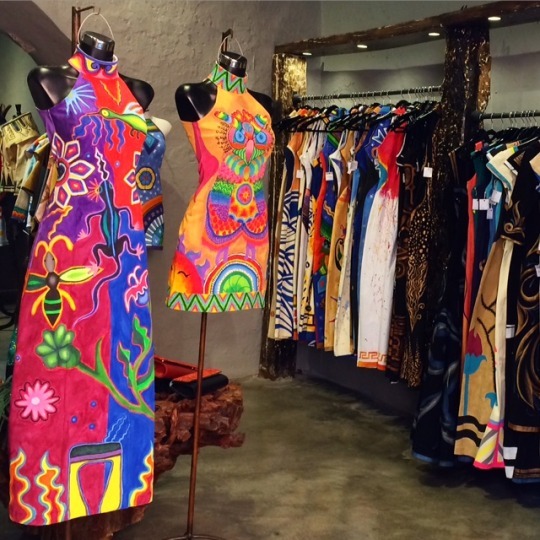 5) It’s an arsty fartsy town – SMA is a place known for artists and artists wannabes. If you want to reinvent yourself and have the money to move to another country to pursue your passion in art, this might be the place for you. For tourists, you get to enjoy the creativity displayed in commercial and public spaces whether you an art lover or not! Have you been to Mexico? Let me know your thoughts on this amazing country!! 4 Fab Years of Fun and Beauty!